the MVNO is technically integrated with Veridian platform, including for its own systems (Web portal), reports, financial data exports etc. Veridian Systems offers, for the first time on the Romanian market, a complete technological platform allowing MVNOs to launch their business on the market with minimum investments and without telecom expertise being necessary. At the same time, the platform helps the mobile operator easily manage the partnerships with MVNOs, at no extra costs. 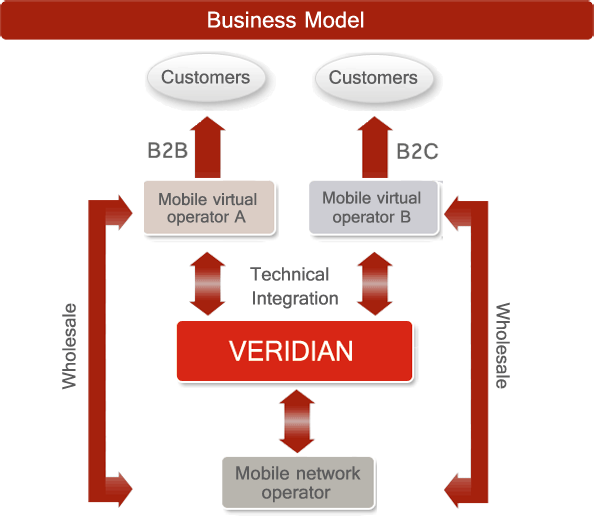 Veridian Systems allows a quick launch of MVNOs based on the infrastructure of a mobile operator, by managing and facilitating the business relationships between the two entities.